Custom Vinyl Lettering: You Choose the Phrase, Font, Color and Size. 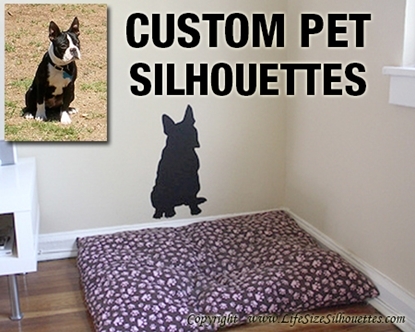 Custom Wall Silhouettes: Small to life-size (or larger) custom pet silhouette decal made from your own photo. 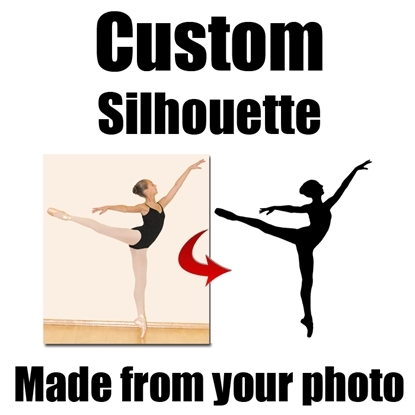 Custom Wall Silhouettes: Small to life-size (or larger) custom silhouette decal made from your own photo. Personalized Logo (Compare to Tiffany & Co.): Enter a Name, Place, and Year.